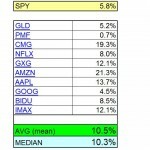 As is customary, I unveil my trading portfolio monthly so readers can track my performance compared to the prior month for a hypothetical basket of the same stocks evenly split, as well as any trades I made in between. My last update was over at Darwin’s Finance (April Portfolio Update). Since that update was on April 8, I’ve calculated the returns of an even weighted portfolio of those holdings since then. Further below, I’ve detailed trades I made in the interim for your viewing pleasure. Darwin’s model portfolio gained 1%. 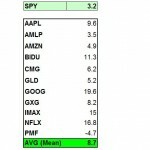 Therefore, this model portfolio once again outperformed the benchmark S&P500 significantly, not to mention the various hedges and new purchases from the interim mid-month timeframe. During the prior month’s April update, Darwin’s portfolio had returned returned 5.4% vs. 3.0% for the S&P500. 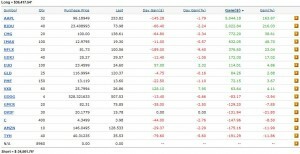 Here’s a screen shot of my account for your perusal and to see total returns since entry and verify all long positions. I traded out of Goldman Sachs completely when the Congressional inquiries went wild, so I didn’t include GS in the full rollup. EUO – Up 5% since entry several days ago – This is meant to short 2X the daily return of the Euro. I view the Euro as doomed and thus far, I’ve been right. It’s been up in an overall down market. 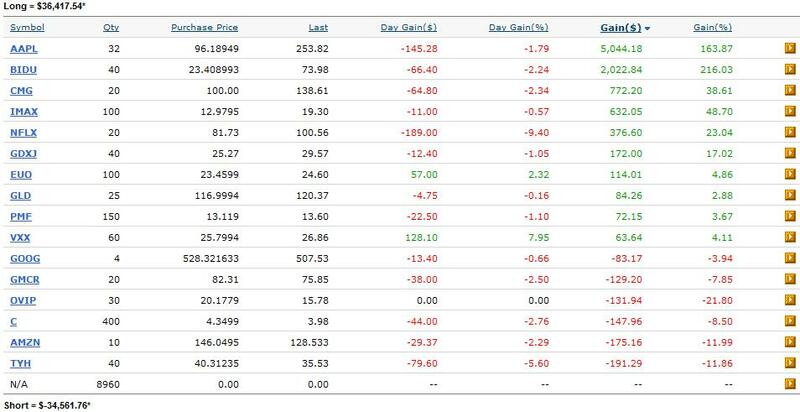 VXX – Up 4% since entry several days ago – This ETF tracks the volatility futures on the VIX. As markets tumble, volatility (fear) spikes, and as such, VXX has been up a bit since entry as well. For more on volatility trades see the article I wrote at ETFBase. GLD – I did a pairs trade with PHYS for a net even position. Long story, but I view as a low risk, easy return over time. 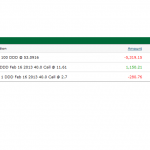 See the gold arbitrage play info here. C, AMZN – Interim purchases that are down with the general market. I bought in as momentum plays and the timing has not worked in my favor. These may be turkeys, will hang on for a bit longer. Returns will be included in portfolio for next full month. TYH – Ignore – it’s part of another long/short trade I have in the short portion of the portfolio (will discuss on another post). 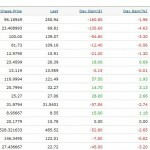 AAPL – Who can ignore Apple? While the returns are included, when I hit a 200% return, I unloaded 8 shares last week to free up a few grand for purchases during the correction (occurring now). Good timing since Apple’s dropped quite a bit over the past few days. While I’ve been using Ameritrade just due to old habit, there are some discount brokers with lower rates and the same level of service. Check out this TradeKing Promotional Code for instance. As always, you can keep up with my monthly updates and other money moves I make by following Darwin’s Money RSS and of course, track my moves in real time by following my Twitter. Next post: Strategic Defaults Are Going Mainstream. Shameless.